Is your Windows 10 system showing Update Error 0x8024200B while trying to update Windows 10/Windows 8/Windows 8.1 or installing HP printer driver? 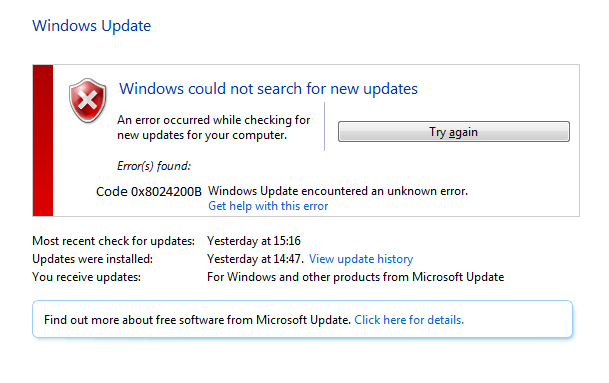 Code 0x8024200B – Windows Update encountered an unknown error. The 0x8024200B error is a known Windows 10 update errors that might occur on all the versions of Windows Operating System starting from Windows 7, 8, 8.1 and Windows 10. You may also face this error code while upgrading from older Windows versions to Windows 10. However, most of the time this error code appears during the installation of Windows 10 updates. There are various reasons that can trigger this error code, few of the common reasons are missing or damaged registry or DLL files. Sometimes, damaged critical system files might also avert the installation of available updates. If any older available updates are pending then it may also generate 0x8024200B error. Outdated system drivers or incompatible software can block the installation of necessary updates. The latter this error may also trigger several other problems, such as slow system performance, malicious programs executing in the background, corruption or inaccessible files. If your system is suffering from this error code then you should solve this issue as soon as possible as it can affect your system very badly. In order to get rid of 0x8024200B error, follow the below given suggested methods, and after solving this issue you need to run a complete system scan with PC ERROR SCANNER to fix another hidden issues. Damaged system files such as DLL files or registry keys are one of the common reasons for Windows error 0x8024200b. Computer Virus and malware infection can also affect your PC by damaging your system files. If this error code is start appearing after the driver installation in your PC, then it is happening due to the inappropriate or incompatible system drive. Improper installations and un-installations of the software might be responsible for this update error. Now, coming to the point, let’s start applying different tested solutions to overcome from Windows Error 0x8024200b. Apply the below given fixes one by one and check for the issue after applying each of them. 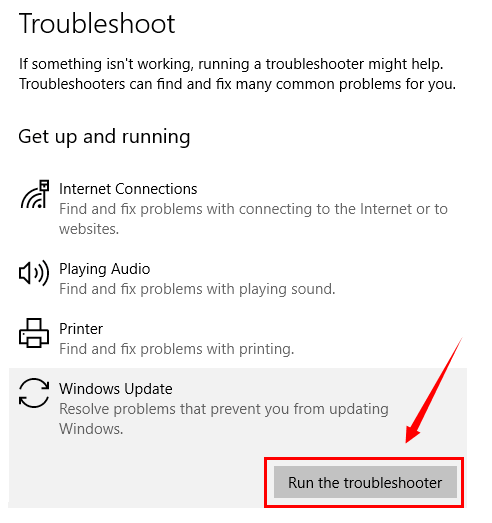 This is one of the essential tricks to get rid of Windows Error 0x8024200b, in order to execute the Windows Update Troubleshooter apply the below given steps and it will automatically detects the problem that causes this error. Step 2: Then, click on the Settings and Troubleshooting. Step 4: Troubleshooter will detect the problem and the whole process will take a few times. As above said, the 0x8024200B error code might be triggered because of the missing or damaged system files. So in this method, we will try to fix the damaged system files and other missing components by using the SFC scan. To do this follow the below-given steps carefully. Step 1: First of all you have to open the command prompt with admin privilege. Press the Windows + R to open the run dialogue box. Step 2: In the run box, type CMD and press the enter key. This will open up the command window. If any UAC appears, then click on the YES. 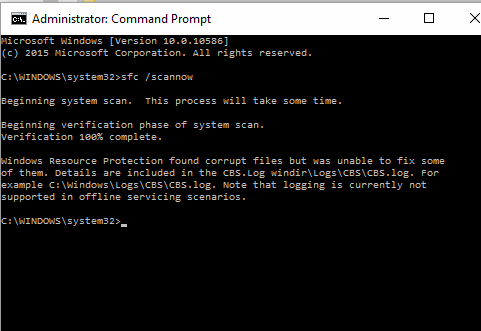 Step 3: After opening the command prompt window, type “SFC/SCANNOW” and hit the Enter key. 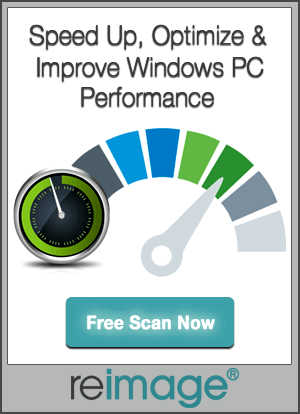 Step 4: Wait until Windows finishes system scan and delivers results. Here you should see detected and fixed files. 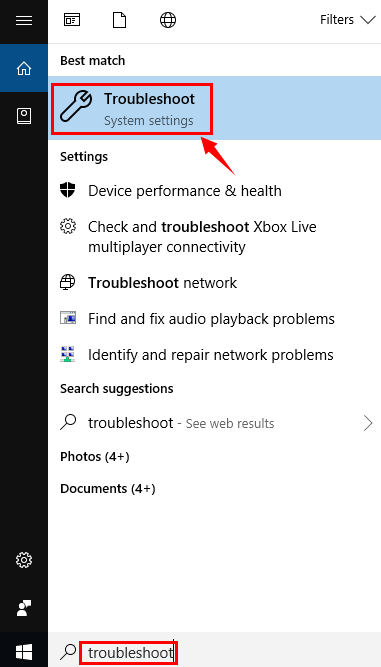 Also Read: [Solved] How to Fix Bad_Module_Info Error in Windows 10 while Gaming? This method allows us to clean and re-create the software distribution folder along with deleting all the temporary files. Navigate to the C:/ drive and then find and open the windows named folder resides in it. Open the DataStore folder and then erase all files and folders present in it. Again open the SoftwareDistribution folder and open the Download folder and erase all files in it. Note: While the deletion process, it may ask for the admin permission. So, it is suggested to logged in as an admin user. If not, then click on ok to proceed. 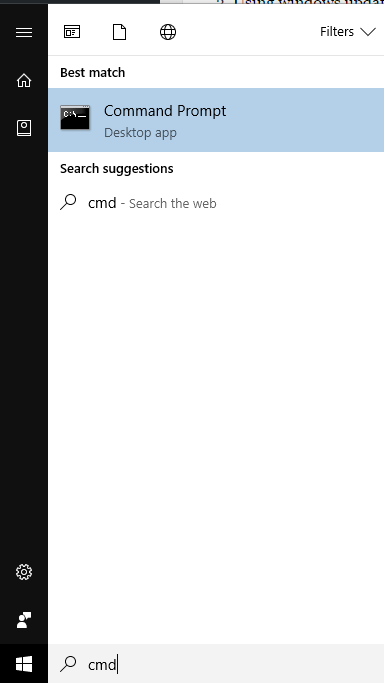 Step 1: For Windows 10 users – simply type in “RESET PC” in the Cortana search bar (windows start button search) and choose RESET PC from the results. Step 2: After it, under the RESET PC, click on the get started button to proceed. Step 3: There are mainly two options, first is to keep your files and the second one is to completely clean. Note: In order to choose the complete clean option you have to take back up of your desktop files, pictures, downloads, documents before proceeding. Step 4: After resetting, try to update your system without. The whole resetting process takes time. If you are still getting the Windows Error 0x8024200b after applying the above-given methods then you should scan your entire computer or laptop with reputable malware removal program. This tool will help you to deal with the unsafe and complicated cyber threats that are typically capable of altering, stopping or injecting system processes. These malicious processes also prevent you from installing the available updates or upgrading your system. To do this task, it is suggested to go with the PC ERROR REPAIR TOOL. This software will scan for the malicious components and removes them safely. So, it is hoped that after applying the above-given methods now your system is error-free and updated. After fixing this update error code and updating your system, it is suggested to run a full scan of your system using PC ERROR REPAIR TOOL. This tool is completely automatic and you don’t need any professional skill to operate this software. 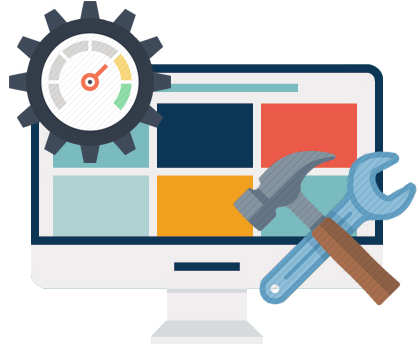 You also don’t need to worry about its working, as it is capable to deal with the several types of systems issues like DLL error, registry issues, driver problems and more. In order to fix Windows 10 Update Error 0x8024200B you should apply the given solutions one by one and check for the issues after applying each of them. 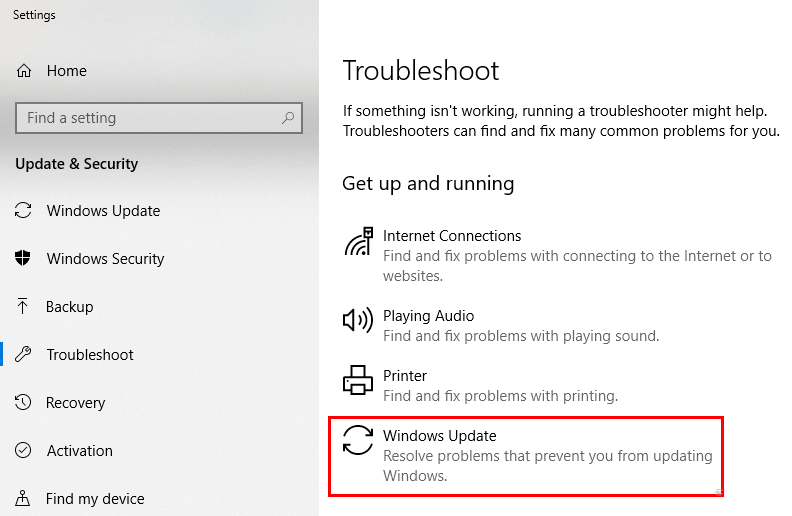 [Solved] How to Repair Windows Update Error 8024402F on Windows 8.1?